American Calibration’s primary laboratory is located the Northwest suburbs of Chicago, Illinois. Our service technicians are strategically located across North America to minimize expenses due to travel. 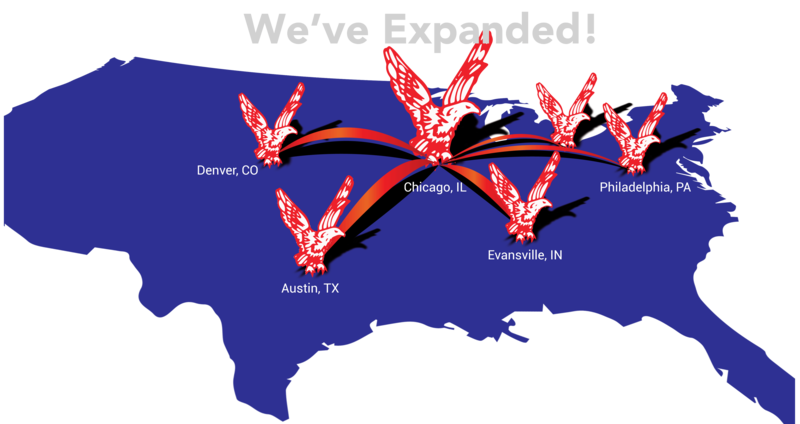 We also have recently added additional service personnel in the rapidly growing Denver, CO, Philadelphia, PA, Cleveland, OH, Evansville, IN, and Austin, TX regions. For our customers that re-locate their factories, our technicians can properly prepare and crate your delicate test equipment such as CMMs, Comparators and Vision Systems. We will then arrive at the destination and get your items fully functional and calibrated as quickly as possible.